Homeowners work with people they like and trust. The remodeling industry is built on this simple fact. For remodeling projects that last over several months, we are not only in their home for that amount of time, but we become privy to many home and family dynamics, and in some ways become part of the extended family while the project is going on. If you have been onsite for a longer project, you understand this simple fact very clearly. It might even be one of the reasons that you do this kind of work. There is a close bond that can grow between homeowner and contractor, and when the project is a good one, that close bond is one of the pay-offs we receive, in both the relationship we develop, as well as the referrals we receive as a result of that friendship. The new economy has tested most remodelers because many of the larger projects have gone away. Homeowner demand has changed, and there is a great deal of uncertainty regarding the state of the economy. Simply, homeowners are scared. They are unsure if their home is the iron-clad investment it once was. 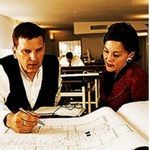 Due to this, they are holding back on larger improvements, and most remodelers have seen overall project size diminish. We are in a waiting game, with everyone wondering what to do. That is a difficult market to work with. As we enter the 4th year of the downturn, I’m hearing that homeowner calls and the backlog of work are starting to grow for many contractors. This growth was inevitable. Look, the projects homeowners want to do have not gone away. They are just on hold while homeowners wait to feel greater sense of confidence about moving forward with the work they want to do on their home. While we can’t change their confidence level, we can position ourselves so that we are the first person they plan to call when they decide to move forward with their project. Become their home advisor. They have a family doctor, and dentist. They probably have a family car mechanic. Become their family contractor. Become their home consultant for any home-related concerns they have. For example, homeowners don’t know how to find qualified trade contractors for small “handyman-type” projects. For homeowners, it is a challenging and time-consuming task. Working through remodeling companies with whom they have an established relationship, homeowners can have access to a proven list of experienced subcontractors and vendors, allowing a full range of home-related services with trade contractors who have a proven track record. Go further with this. Most homeowners have no idea how much specific home improvement projects cost. What is the cost of a kitchen or bath renovation? Let your past clients know that you can help them with this. There is a wonderful question you can ask past clients to begin this conversation – cost notwithstanding, what improvements would you love to make to your home? The truth is that every homeowner would like to make certain improvements, but they don’t know where to start. Become their home advisor. If they plan to stay in their home for the next 10 years, talk with them about the improvements they would like to make, and work with them to begin reviewing what would be involved. Offer to create some conceptual drawings to begin putting their dreams on paper. Their return on investment may not be as important if they are staying in their home for a longer period. Who knows what the market will be like 10 years from now? In the meantime, show them how you can help them achieve some of their home-related dreams. All remodeling contractors are sitting on an asset in their business that has largely been ignored. This asset is their database of past customers. Remodelers can build a “one stop” home services business with this database past customers, based on relationships that were forged through earlier projects. Homeowners don’t want strangers in their home. They want someone that they trust. Stay in touch with past clients on a regular basis. People do business with those they know, like, and trust. Develop and deepen personal relationships. Provide superior service. Become the best connected “go to” person with your past clients – give to them without thought of return and it will come back to you tenfold. It’s not enough to “meet” expectations, you need to exceed expectations to the point people will tell their friends and never consider anyone else for what you do. manner. Is it time to re-think your business model?